Visit Shahi Qila with Haririi. 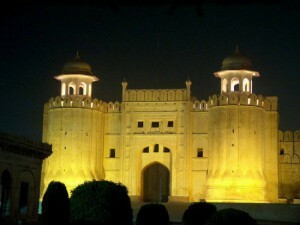 We offer you best tourism package for your Tour to Shahi Qila. The existing base structure of Shahi Qila was built during the rule of Mughal Emperor Akbar between 1556–1605. There is a famous Sheesh Mahal in the north-east corner of the Fort which is the most beautiful place in the Fort. This is worth visiting and shouldn’t be missed. Usually one should take this tour in the morning. You will visit Badshahi Mosque, Lahore Fort a treasure of Moghul architecture from the early 16th century to 18th century (takes about 1½ Hours to visit), and Minare Pakistan.